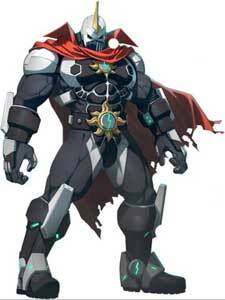 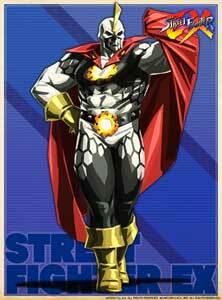 Shadow Geist is one of the playable characters in the Street Fighter EX series. 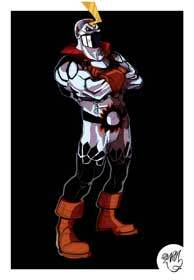 He debuted as a secret character in Street Fighter EX2 (1999) and returned again as a secret but unlockable character in Street Fighter EX3 (2000). In a series of unforseen events, Arika the creators of the SFEX games, created a new game named Fighting EX Layer in 2018 that features Shadow Geist alongside other returning SFEX characters.